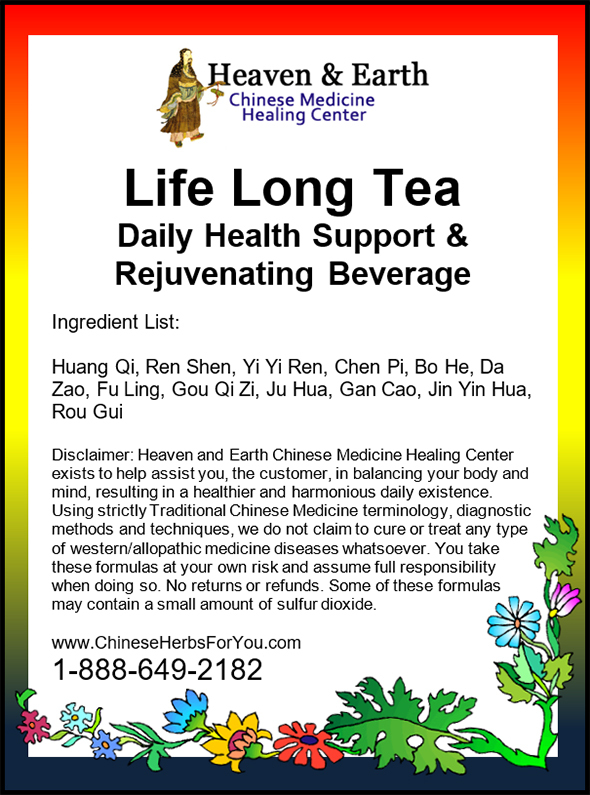 Heaven & Earth CMHC Life Long Tea Formula is a specially devised Chinese Herbal Formula that can be taken daily for life as a wonderful and balanced rejuvenating, energy building, tonifying, cooling and clearing tea. 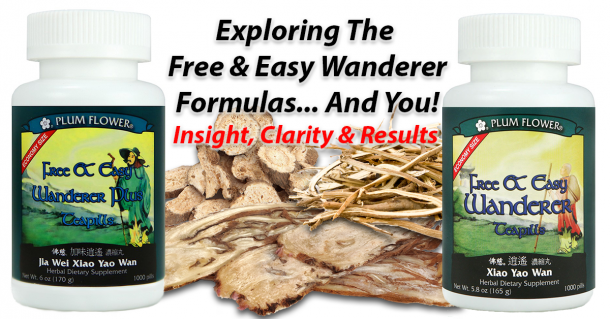 This scientifically advanced formula was created solely by one of our Master Chinese Herbalist. 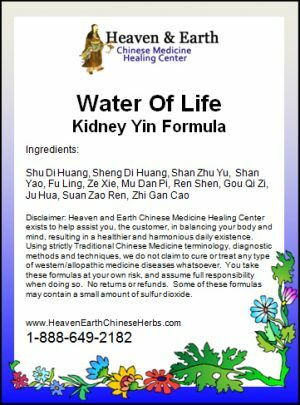 He was astonished to later find an almost exact ancient recipe served by the Empress of China to only her favorite guests! 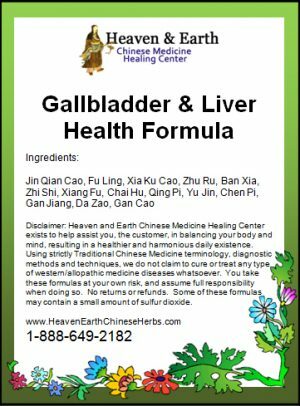 This formula helps to assist in tonifying blood & chi, clearing toxins and heat, enhancing digestion and elevating immune levels. 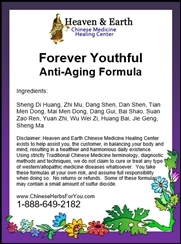 Heaven & Earth CMHC Life Long Tea Formula has been created to especially promote long life and great health! It is delicious and can be taken by any family member. 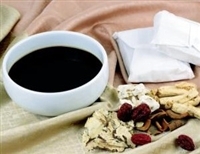 This blend of powerful Chinese Herbs includes Huang Qi & Dang Shen to promote energy & immune system.